This harrowingly self-aware three-track EP from Edmonton’s Aladean Kheroufi manages to somehow perfectly capture the divide between wanting to grow up and hanging onto young recklessness. Calling a forgotten someone because of a bittersweet dream about them and feeling the nostalgia rekindle your connection. It brings to mind a worn out slinky with no spring left, yet you can’t stop playing with it; it above all still knows how to relax down the stairs. Sad, but still fun. Kheroufi summarizes and uses lo-fi dreamy pop as a tool to paint a vivid picture of his emotional states through time. The second track of his EP, “Reeling,” is a perfect example, with hazy vocals telling a story of night time reminiscing of a relationship gone wrong. The pain sits cozily amidst upbeat drums, warm keys and slinky guitar riffs. An extreme vulnerability is wrapped in the safety of the other instruments. What stands out on this EP is Kheroufi’s lyrical ability to blend irony, humour, and loneliness into a mixture that anyone can immediately understand. The third track draws comparisons between our own personal problems and plans with those of an entire ideology. “You, me, and the American dream, know it was never meant to be” Kheroufi lazily sings on “American Dream,” highlighting our tendency to feel as though our own issues are just as impacting and important as any others, because to us, they are. The EP resolves calmly, and in the last moment a happy yell is heard to remind us to stop being so self-pitying, that it’s time to get our head out of the past and start living a bit already. 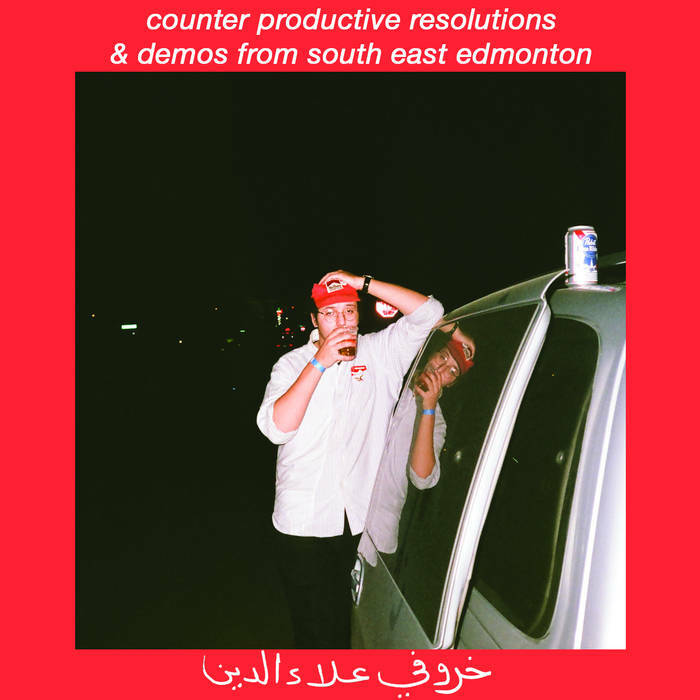 counter productive resolutions & demos from south east edmonton is truly is an EP that needs to be listened to whenever the fear of being human strikes. You’ll see what I mean.